Policy in Practice (www.policyinpractice.co.uk) the UK’s leading social policy software and consultancy business, has announced the launch of a Universal Benefit Toolkit. Aimed at housing associations and local authorities, this intuitive online range of universal benefit calculators and budgeting tools streamlines the calculation of benefit entitlement. The cloud based system enables financial inclusion managers, housing officers and employment advisors to support their customers by showing them the benefits they can receive, how they can budget better and, where appropriate, how much better off in work they would be. The outcome-based approach also highlights possible areas of assistance and opportunities to improve a customer’s financial circumstances. The data, which can be entered either in real time or off-line, can be shared easily with other departments as appropriate. 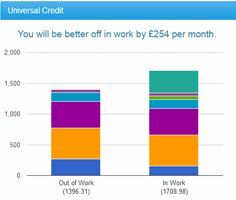 A Universal Credit Calculator: This shows the entitlement to Universal Credit and current benefits that can be claimed, and by how much someone can be better off in work. The outcome-based calculator uses clear visuals and colours to ensure easier communication of entitlement and on-going action plans. In addition, its interface has been specifically designed to minimise the time taken for data entry, which both enhances convenience and allows more time for conversation with customers. A DHP Calculator: This accurately and consistently calculates a tenant’s entitlement to a Discretionary Housing Payment award. The awards enable tenants to apply for temporary financial assistance if they have a shortfall in their Housing Benefit. As local authorities set their own criteria for the payments alongside existing DWP guidance, calculations can involve a wide range of variables. Policy in Practice’s DHP calculator streamlines this process significantly, incorporating regional awards criteria where required. Most importantly though, it points people towards ways in which they can reduce their spending or increase their income thereby reducing the need for a DHP in the future. A Budgeting Tool: This tool facilitates productive, supportive and non-judgmental conversations between an advisor and their customer. Following a financial assessment, the tool will produce an on-going budget for benefit claimants, taking into account their existing take home income and relevant costs of living including: rent, childcare, travel and utility costs. A Self-Service Calculator: This enables local authorities and social housing organisations to offer their customers a simple to use web-based self-service calculator. In practice, the tool enables residents to access a simplified version of the Universal Credit calculator from their own device and at their own convenience. This saves both the time and cost of face-to-face appointments so it benefits both the customer and the user organisation. Through using the online calculator, self-service users can determine whether they are receiving the correct amount for their benefit claim, identify if they are eligible for other benefit types and estimate how this might change as the Government’s Welfare Reforms evolve. Management Reporting: Management reporting is also included, so that executives can identify which areas of their organisation are working well or where greater focus is required. All the calculations and management reports can be either downloaded or printed as pdfs. Data Sharing: A unique feature of the Universal Benefit Toolkit is the ability, subject to appropriate permissions, to share information between departments. Therefore, for example, data may be shared between the pre-tenancy team and the financial inclusion team in a housing association, or between a housing department and the welfare reform team in a local authority. Commenting on the launch of the Universal Benefit Toolkit Deven Ghelani the CEO of Policy in Practice said, “With Central Government seeking to save £12bn from the benefits budget, combined with the accelerated rollout of Universal Credit and the localisation of support, the need for a clear approach is more important than ever. Our software will allow organisations to see the impact of current and future changes to the welfare system on a case-by-case basis, and help organisations prepare for the upcoming changes to welfare policy so that people get the support that they need. “Whether the calculations and budgets are being made by a housing association a local authority or a customer, there is a need for an integrated set of tools that are fast, engaging and easy to use. This is what Policy in Practice has delivered through this Toolkit. In addition, it is also an excellent solution for helping people to set realistic job goals – the first step of getting into work.